Another relaxed morning at the park in Mitchell. Had breakfast with Adinah and Chris and said our goodbyes as they have to head back to Portland. Rode with John up the 6 miles of 4 to 6 percent grade to the top of Keyes Creek Summit. Then we pretty much coasted for the next 20 miles. I stopped to take this picture and ran into a trio headed west with a support vehicle, taking turns driving. One of them was completing the Trans-Am trip he started last year. The driver gave us gatoraide. He also told us about this campground, Clyde Holiday State Park. Dayville was unexpectedly green. The lady at the store said it was the rainiest spring anyone could remember. 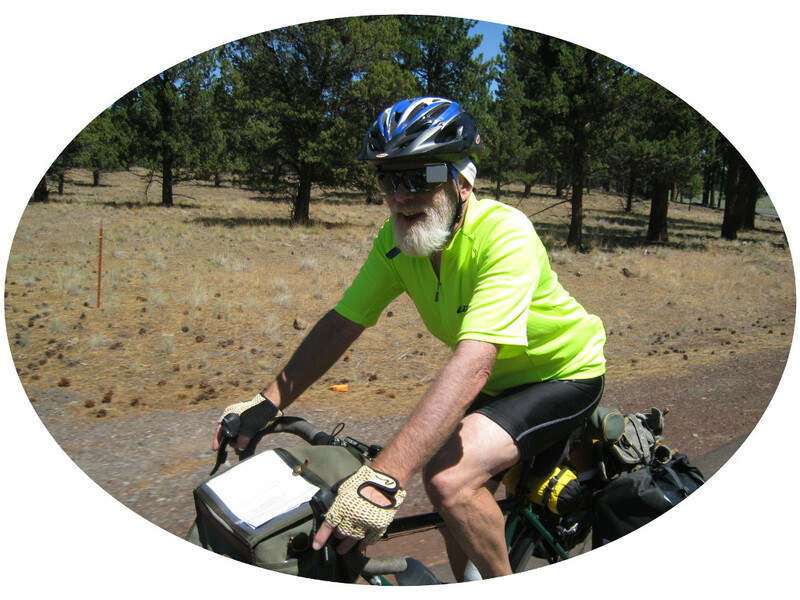 Ran into Phil who was riding with his niece and a support car with Oregon license plate "velocar". They were riding unbranded carbon frames that they got cheap from Tiwan and then decked out with full Campy Record parts. After that we had another 22 miles of easy riding to Mount Vernon. Stopped at the Silver Spur for dinner. Ran into 4 riders from Boise who where doing a week long loop. And then Phil showed up and sat with us. After dinner we proceeded to the Clyde Holiday state park which has hiker/biker sites. I was pleased to see Jim and Kathy, whom we meet the previous night in Mitchell, were already there. John at Keyes Creek Summit. Another day, another summit. I just like this little hill on the long road down to the John Day valley. At one point there was a strong fragrance in the air. It was coming from these white flowers groing along the river bank. Dayville has a mini old west town.